On Tuesday March 26th BCAN had the pleasure to have you at one of our first ever public facing events. 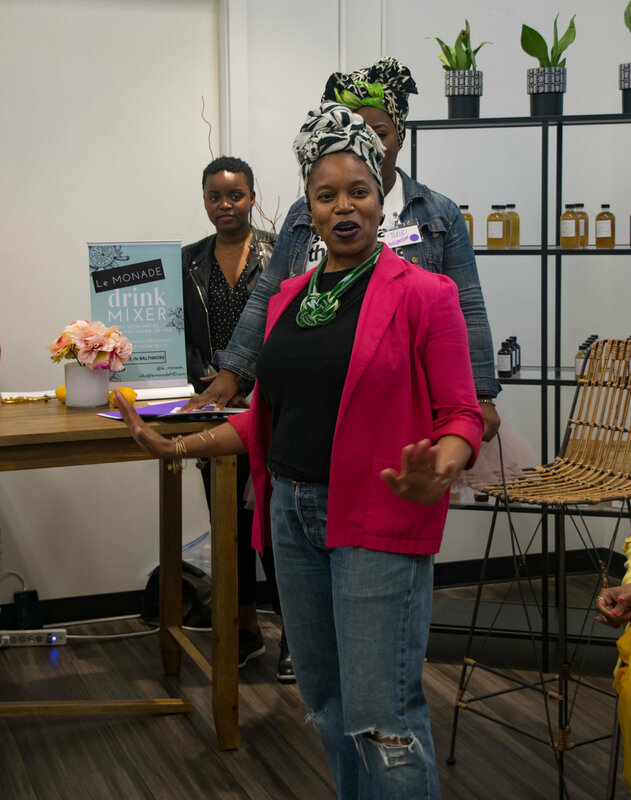 We welcomed 40+ local female founders, creatives, and all around mavericks to our space to connect and exchange energy and ideas. We had an awesome selection of local women-owned vendors including: Ama Scents, Knit Soy Metal, Natasha’s Just Brittle, Le MONADE, Illicit Rag Vintage, Oyin Handmade, and Vent Coffee. Our stellar panel featuring Liz Vayda of B.Willow, Raina Smallwood and Nasira Latif from Cedar and Cotton, Keiona Siler of iStyleLikeMe, and Alisa Brock of Drama Mama Bookshop, moderated by the always fabulous Takia Ross of Accessmatized dropped some great gems at our panel featuring all local female founders. Baltimore Spirits Company, Noona's Pizza, Union Craft Brewing, and Pixilated. Many thanks to Solane Brown from Baltimore Snap for stopping by, catch her photo story on the event here!